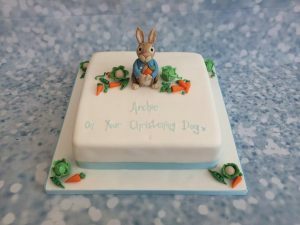 Twice as nice, this 2 tier cake is a fantastic creation to celebrate a christening and a birthday. 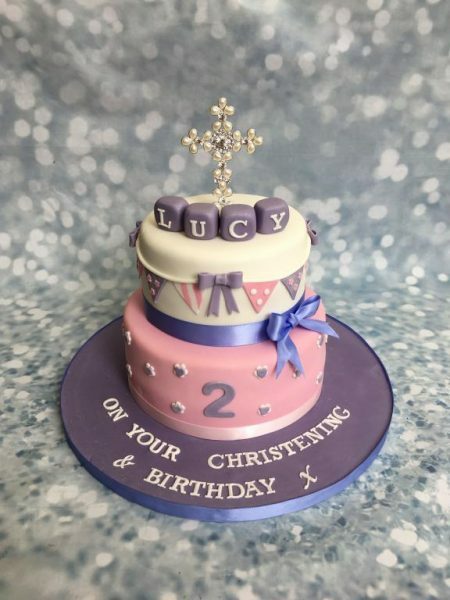 This cake is a slightly deeper tier 6″ & 8″ round which has beautiful bunting which circles the top tier and flower blossoms with a heart centre around the bottom tier. 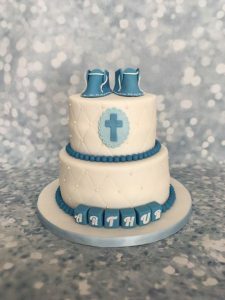 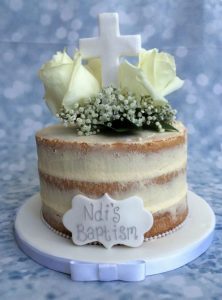 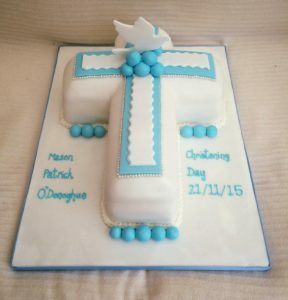 Cross cake topper provided by customer.